The French daily morning newspaper Le Figaro encourages its readers to learn Acem Meditation. The newspaper’s women’s section is now displaying 10 “tested and approved” new year’s resolutions. The common denominator is: “Take care of yourself, listen to your desires and feel more Zen, more fit, better in your body …”. Acem Meditation, described as “Scandinavian Meditation”, is the second in the listing. The newspaper states that Acem Meditation is “Nothing mystical or sacred: its purpose is to reduce the state of stress through a deep relaxation on the repetition of a sound”, and that it mixes “meditation techniques with psychology and neuroscience”. Readers are referred to the French Acem web site for more information. 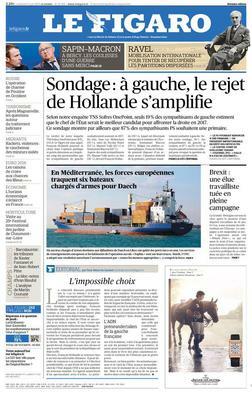 Le Figaro is one of the two French newspapers of record, along with Le Monde. The whole article lies here. ← Can meditation delay the aging process?